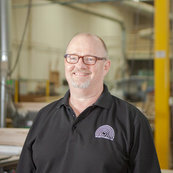 My husband and I first hired Greg and the team at Mi-Kin to build custom cabinets for our kitchen remodel. We loved the result so we hired Mi-Kin again to remodel of our master suite, bathroom and additional work throughout the house. Mi-Kin went above and beyond to help us with the design process and their craftsmanship was first class. We are so happy with the result and will definitely hire them for future projects. Greg and his team are first class and I highly recommend them to anyone.